In the first part of this series, I profiled books on life and living that have inspired me the most. In this second part, I cover books on learning, thinking, and decision making (more coming in the third part). Before I begin, here’s something worth reiterating. You should not read good books for the sake of talking about them. Mentioning them by name may give you the appearance of literacy, but you do not have to read them to outshine someone else at a dinner party. Reading is a means toward living a good human life. It’s a means toward living the life of a free man/woman. Anyways, what follows below is not an exhaustive list but is made up of books I go back to time and again, and return wiser. 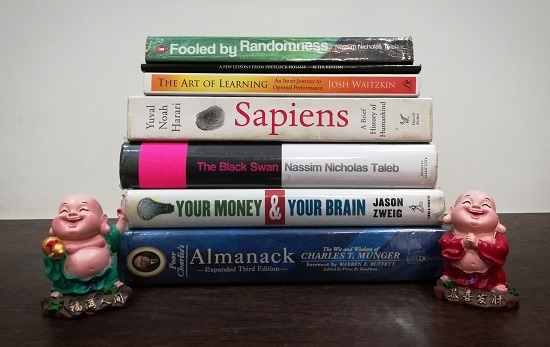 Let’s start right away with my favourite books on learning, thinking, and decision making. 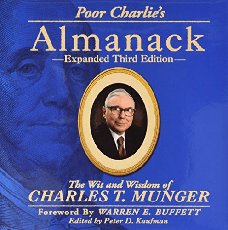 Unlike what many people think, Poor Charlie’s Almanack is not a ready reckoner on how to become a successful investor. In fact, it’s much more than that. It’s a book on how to live a happy, sensible and rich life and in the process become a better thinker and investor. As you read through the book, some of Munger’s ideas will inspire you, and some will make you uncomfortable. But all will challenge you to think outside the box. One of my favourites from the book is its third chapter that captures “Mungerisms”, where Munger dispels hundreds of ideas on subjects ranging from life, investing, academia, financial engineering, accounting, money management business, and managements. Spend each day trying to be a little wiser than you were when you woke up. Discharge your duties faithfully and well. Step by step you get ahead, but not necessarily in fast spurts. But you build discipline by preparing for fast spurts. Slug it out one inch at a time, day by day. At the end of the day – if you live long enough – most people get what they deserve. Envy is a really stupid sin because it’s the only one you could never possibly have any fun at. There’s a lot of pain and no fun. Why would you want to get on that trolley? This is a brilliant book from Peter Bevelin. 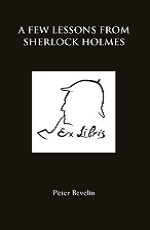 Through this book, he has distilled Arthur Conan Doyle’s Sherlock Holmes into bite-sized principles and key quotes. In fact, this book is much more than a collection of quotes. It is a way to learn the powers of observation, understand the limits of our mind, and counter the narrative fallacy. Sherlock Holmes is the epitome of rationality, and when it comes to making businesses decision, a rational thinking goes a long way in keeping you out of trouble. Thinking is mostly an automatic process for everybody but while making critical decisions in life (and in business of investing) one needs to come out of the autopilot mode and learn the art of thinking clearly. Sherlock Holmes give us a framework, a blue print if you will, of thinking. Like the scientist trying to solve a mystery of nature, Holmes first gathered all the evidence he could that was relevant to his problem. At times, he performed experiments to obtain fresh data. He then surveyed the total evidence in the light of his vast knowledge of crime, and/or sciences relevant to crime, to arrive at the most probable hypothesis. Deductions were made from the hypothesis; then the theory was further tested against new evidence, revised if need be, until finally the truth emerged with a probability close to certainty. There you have it! That’s the entire process of solving a mystery. I believe the work of an investor or an analyst working diligently through a company’s analysis isn’t any different than that of a detective in search of the ultimate truth in a crime. A Few Lessons from Sherlock Holmes is a great guide for anyone wanting to learn how to analyze businesses to pick the right kind of stocks for long-term investment. The central idea of Fooled by Randomness from Nassim Taleb is that the world we live in today is more random than we would like to think. A human mind is a meaning-making machine. Through millions of years of evolution, nature has hardwired the human brain to seek patterns and consistencies everywhere. But as civilization has progressed the world around us has become increasingly uncertain and unpredictable. The main culprit for our inability to acknowledge the randomness is hindsight bias. When we look back at things that have happened we see them as less random than they were. As they say, the hindsight vision is 20/20. Once we know the outcome of an event, we find it hard to imagine the other possible ways in which things could have happened. 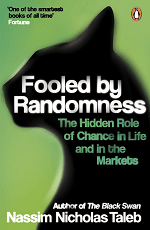 Letting randomness fool us is hazardous especially when it comes to investing and making decisions involving money. 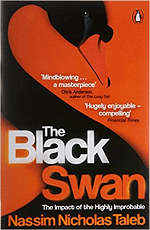 Black swan is a Latin expression, which was commonly used as a metaphor to describe something impossible or something non-existent. It came from the old-world belief that all swans are white since no one had seen a black swan before. Every time someone spotted a white swan, it was confirmation of their belief i.e., “all swans are white.” But this long held notion was invalidated the day first black swan was spotted. The 9/11 terrorist attack was a black swan event. The 2008 financial crisis was one too. No one saw them coming. Both events had a huge impact on the economy and a large segment of population and pundits had a convincing explanation (with the benefit of hindsight) to claim that those events were inevitable. For that matter, black swan events are very subjective too. For a tribal community living in a remote corner of east Africa, both these events were of no significance. But for a guy trapped on the top floor of the burning World Trade Center, it was a black swan. For AIG, which sold billions of dollars of credit default swaps on subprime mortgage bonds, 2008 crash was a black swan. The idea is that one can never predict a black swan event. What you can, however, do is to arrange your affairs in such a manner that you aren’t exposed to such events. Having leverage exposes you. So does indulgence in dangerous activities like doing drugs and racing trains, says Charlie Munger. I am sometimes taken aback by how people can have a miserable day or get angry because they feel cheated by a bad meal, cold coffee, a social rebuff or a rude reception…We are quick to forget that just being alive is an extraordinary piece of good luck, a remote event, a chance occurrence of monstrous proportions. Imagine a speck of dust next to a planet a billion times the size of the earth. The speck of dust represents the odds in favour of your being born; the huge planet would be the odds against it. So stop sweating the small stuff. Don’t be like the ingrate who got a castle as a present and worried about the mildew in the bathroom. Stop looking the gift horse in the mouth – remember that you are a Black Swan. 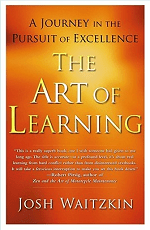 This is one of the best books on the art of learning I’ve read. Its author Josh Waitzkin is a champion in two distinct sports – chess and martial arts. He is an eight-time US national chess champion, thirteen-time Tai Chi Chuan push hands national champion, and two-time Tai Chi Chuan push hands world champion. In The Art of Learning, Josh recounts his experiences and shares his insights and approaches on how you can learn and excel in your own life’s passion, using examples from his personal life. Through stories of martial arts wars and tense chess face-offs, Josh reveals the inner workings of his everyday methods, cultivating the most powerful techniques in any field, and mastering the psychology of peak performance. Josh starts this chapter with the story of the protagonist in Robert Pirsig’s book Zen and the Art of Motorcycle Maintenance (another wonderful book). This man is Phaedrus, a teacher, who in this particular scene is reaching out to his student who is all jammed up when given the assignment to write a five-hundred-word story about her town, Bozeman. …a girl with strong-lensed glasses, wanted to write a five-hundred-word essay about the United States. He … suggested without disparagement that she narrow it down to just Bozeman. When the paper came due she didn’t have it and was quite upset. She had tried and tried but she just couldn’t think of anything to say. He had already discussed her with her previous instructors and they’d confirmed his impressions of her. She was very serious, disciplined and hardworking, but extremely dull. Not a spark of creativity in her anywhere. Her eyes, behind the thick-lensed glasses, were the eyes of a drudge. She wasn’t bluffing him, she really couldn’t think of anything to say, and was upset by her inability to do as she was told. She came in the next class with a puzzled look and handed him a five-thousand-word essay on the front of the Opera House on the main street of Bozeman, Montana. “I sat in the hamburger stand across the street,” she said, “and started writing about the first brick, and the second brick, and then by the third brick it all started to come and I couldn’t stop. They thought I was crazy, and they kept kidding me, but here it all is. I don’t understand it. The gentleman who taught us history course in school had a strong baritone voice which was in stark contrast to his fragile-looking structure. The only reason I remember him even today is because his voice still echoes in my head. The endless lectures where he would dictate the historical events and we would ferociously note down every single word. I am sure he knew his subject well but never really bothered to convince us why studying history was important. Unlike physics or economics, history is not a means for making predictions. We study history not to know the future but to widen our horizons, to understand that our present situation is neither natural nor inevitable, and that we consequently have many more possibilities before us than we imagine. For example, studying how Europeans came to dominate Africans enables us to realise that there is nothing natural or inevitable about the racial hierarchy, and that the world might well be arranged differently. 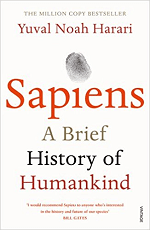 Sapiens was the best book that I read in 2015. And I am not alone in declaring it as the most important book that every knowledge seeker should read. Mark Zuckerberg, Barack Obama, and Bill Gates have openly and strongly recommended Yuval’s book. I guarantee that once you read the book, your worldview about the past, present and future will change dramatically. It’s such a rich book that I had to literally stop at every page and marvel at Harari’s jaw-dropping insights. Jason Zweig is an investment journalist and a long time investing columnist for Wall Street Journal. He is best known for editing and adding commentary to the revised edition of Benjamin Graham’s investment classic The Intelligent Investor. Graham’s book, considered as investing bible by many, was first published in 1949 and stays on top of every value investor’s reading list. In his commentary, Zweig has made Graham’s principles easier to understand and implement. … over the past few years, scientists have made stunning discoveries about the ways the human brain evaluates rewards, sizes up risks, and calculates probabilities. With the wonders of imaging technology, we can now observe the precise neural circuitry that switches on and off in your brain when you invest. The 100 billion neurons that are packed into that three-pound clump of tissue between your ears can generate an emotional tornado when you think about money. Your investing brain does not just add and multiply and estimate and evaluate. 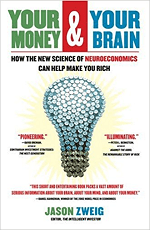 When you win, lose, or risk money, you stir up some of the most profound emotions a human being can ever feel…the neural activity of someone whose investments are making money is indistinguishable from that of someone who is high on cocaine or morphine. The best “value investment” of all is channeling money into goals that will make your life more valuable: drawing out your innate gifts to make yourself matter to other people and to make the world around you a better place. Given the way the brain works, your happiness ultimately depends not on finding out how much you can buy but on learning how much you can be. If you could read just one chapter in Zweig’s book, Chapter 10 should be it. The post The Books That Made Me – Part 2 appeared first on Safal Niveshak. Next: Next post: How to avail loan against Mutual Funds instantly? Having worked with business owners and families in the area of wellness for 30+ years, most recently in the financial wellness arena, I am able to offer up many alternatives to serve their business and individual/family needs. Cost Savings, Tax Reduction, Wealth Acceleration, Retirement Plans, Protection, Exit Strategies, Insurance, Senior Services are buzz words for what I offer and being a senior independent advisor qualifies me to consult in all areas and offer many choices for those in need or wanting to make their lives better. I invite everyone to come along and enjoy what I have to give and to learn what I have to impart. Nothing I share is boring and everything is enlightening in one way or another.